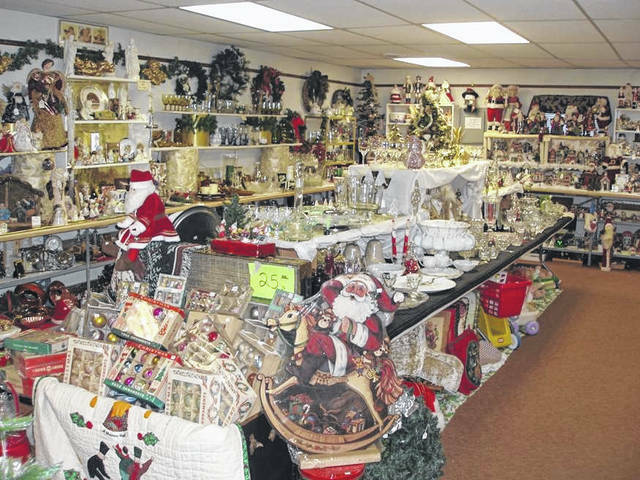 The Kris Kringle Shop will be open for two weekends on Nov 29, 30, Dec 1, and Dec. 6, 7 & 8 from 10 a.m. – 5 p.m.
TROTWOOD — The Kris Kringle Shop, sponsored by the Trotwood-Madison Historical Society, will be open for two weekends on Nov 29, 30, Dec 1, and Dec. 6, 7 & 8 from 10 a.m. – 5 p.m. The shop is located at 349 S. Broadway St, (Union Road), Trotwood. Sale items include a variety of gently used and new at very reasonable prices including plenty of Christmas ornaments, lights, trees, wreaths, decorations, glassware, angels, nativities, stuffed animals, Santas, tablecloths, stockings and so much more. Proceeds will benefit the TMHS property renovation projects. For more info: 837-5387 or 837-0355.